Well, first a wedding and now the theater. 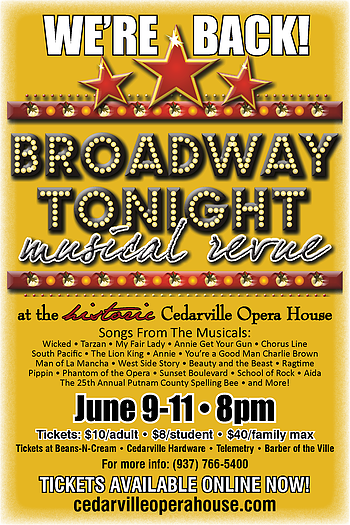 One of our players, Sara Beste, has been practicing since April for a summer performance at the Cedarville Opera House. The presentation is taking place June 9th, 10th and 11th. My wife and I attended the Thursday evening opening and it was awesome. 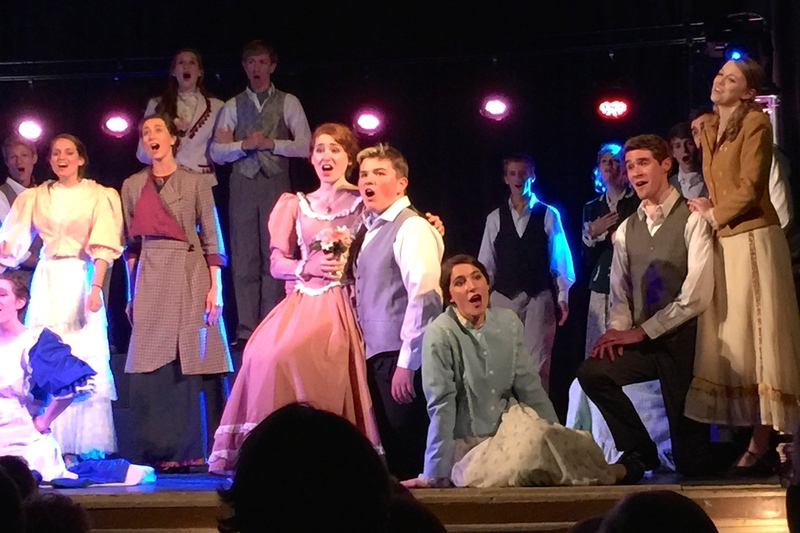 The presentation was “BROADWAY TONIGHT musical revue” featuring an extremely wide variety of music from at least twenty different musicals. 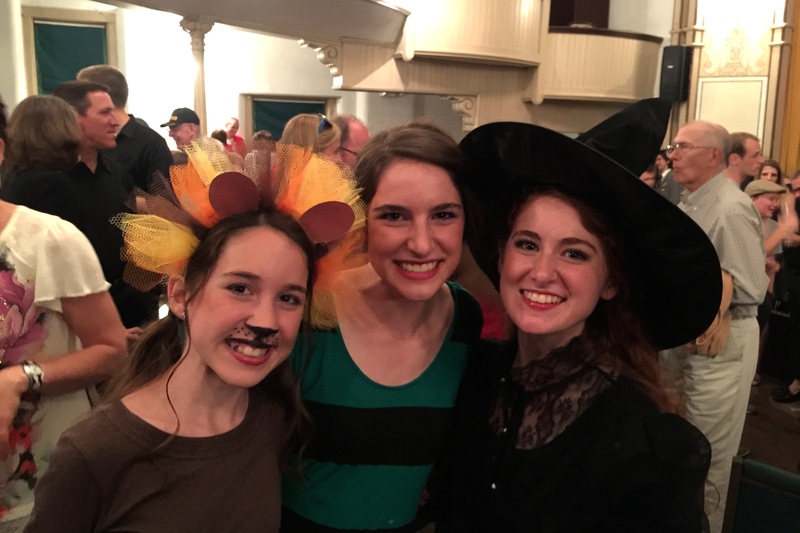 Kylie Beste, Sara’s sister who joined us for several of our practices this season (and who will be playing volleyball for Cedarville University this fall), also performed and had several solos. Her younger sister Rachel made her acting debut too. Not to be outdone, Jeff Beste is on the Board of the Opera House and was a leader of the production and played in the orchestra. A true family affair. If you think you need to visit the big city to see a wonderful production you are missing out. It was a tremendous event and left you wondering how so many people could come together and perform so seamlessly. As a side note, Deborah Michalski, from our 18 Blue team and who will play at Grace College this fall, also played a big part in the production. Her rendition of Anything You Can Do (Annie Get Your Gun) was fantastic. Great to see these volleyball athletes perform on a different stage! A couple pictures from the event are provided below. 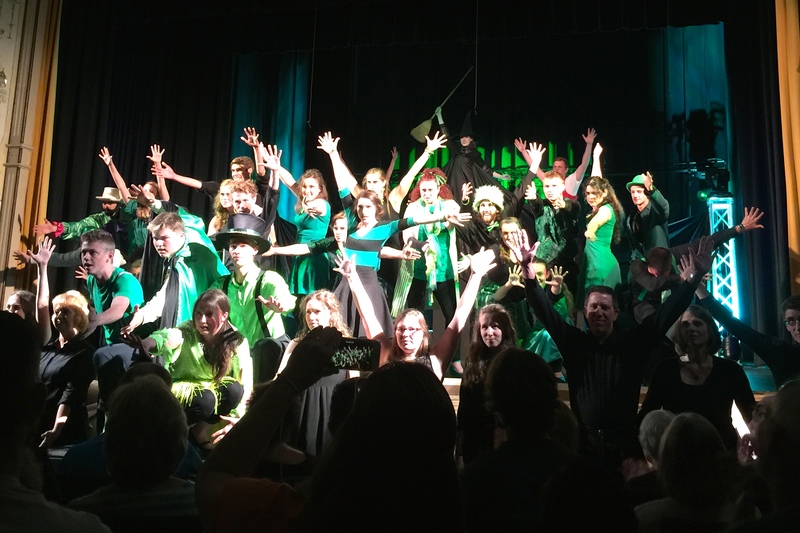 A scene from “Wicked”. Sara in the center of the pic. Deb Michalski behind her. Kylie, is the witch in black clothing in the very back. 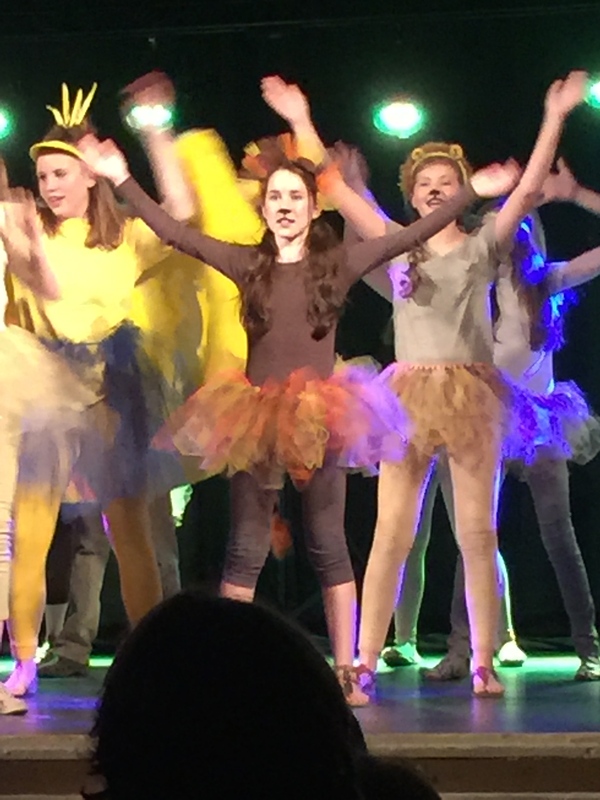 Rachel (center) in “Lion King”.